One of the leading composite door solutions on the market today, Rockdoor composite doors provide the highest levels of home protection, thermal efficiency and visual appeal. As the first part of your home seen by your guests, your front door says a lot about you. Therefore, it’s important to make a good impression. With a Rockdoor composite door, a good impression is exactly what you’ll make and then some. A leading entrance door solution, they’re definitive proof that not all doors are created equal. Consisting of a hardwearing yet stylish uPVC skin, expect a beautiful looking door that will continue to look great as the years go by. Additionally, there’s a high-density core, ensuring security and thermal performance are maximised so you can redefine your home’s style and performance. 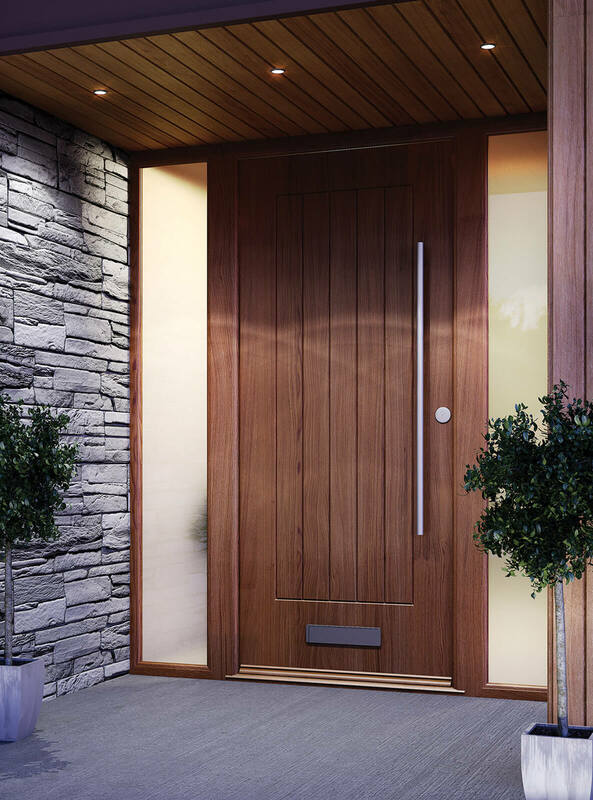 Available in 25 different door styles, 13 different colours and with a variety of glass and furniture options, there’s a Rockdoor composite to suit any home. If you require any further clarification on their style or performance options, feel free to get in touch with the team of experts here at Droylsden Glass. Design Your DoorTry our new Rockdoor composite door designer today. 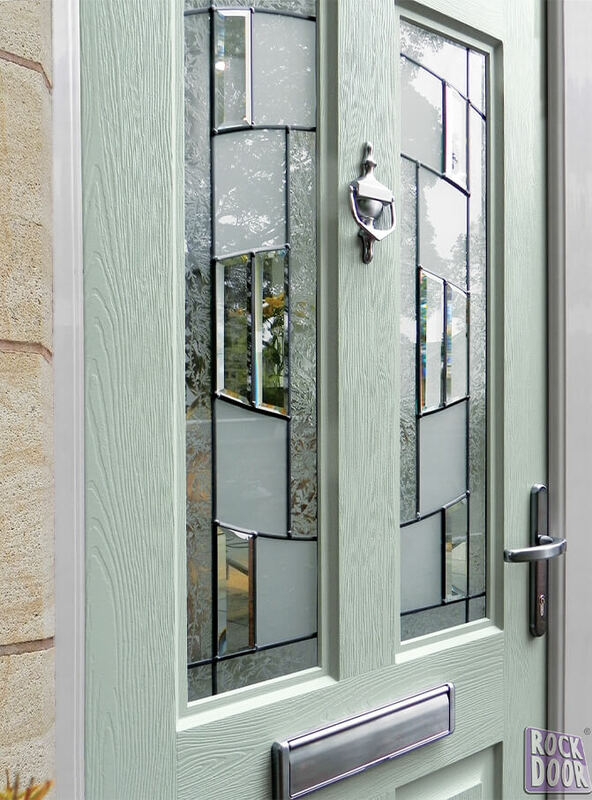 The exterior finish of our Rockdoor composites is available in 13 different colours and various woodgrain effects. We also provide the option of dual colours, so you can have a different finish for the interior and exterior part of the door. 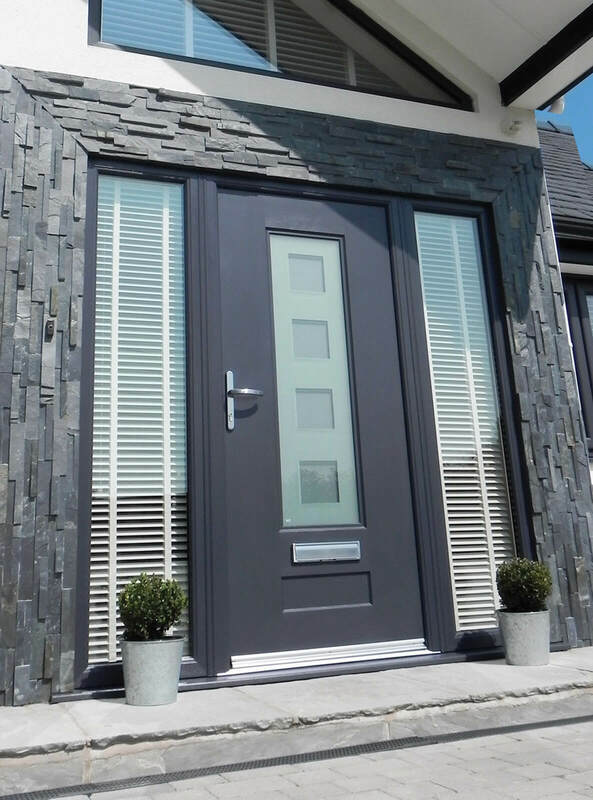 Rockdoor composites feature a high-density Rockdoor core which is 60% stronger than standard composite doors. This is combined with solid brass hook locks and a unique S-Glazed system that locks the glazing into position. The result of this expert combination of high-grade security measures is a door that is incredibly difficult to breach. Able to attain an energy rating of A++, Rockdoor composite doors are one of the leading entrance doors on the market in terms of thermal efficiency. 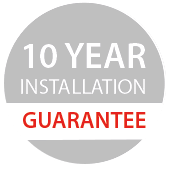 This means you can enjoy a much warmer home for considerably less expense when choosing a Rockdoor composite for your entrance door.